One of the key priorities at Cuyahoga Community College is to proactively tell the story of our successes and to promote transparency about our challenges in an effective and innovative manner. As part of that promise, we provide the 2019 State of the College report for your review. This annual report to the community provides information on movement being made in six areas identified in our strategic plan: student completion; student experience; equity in outcomes; workforce impact; transparency, accountability and communication; and commitment and community outreach. 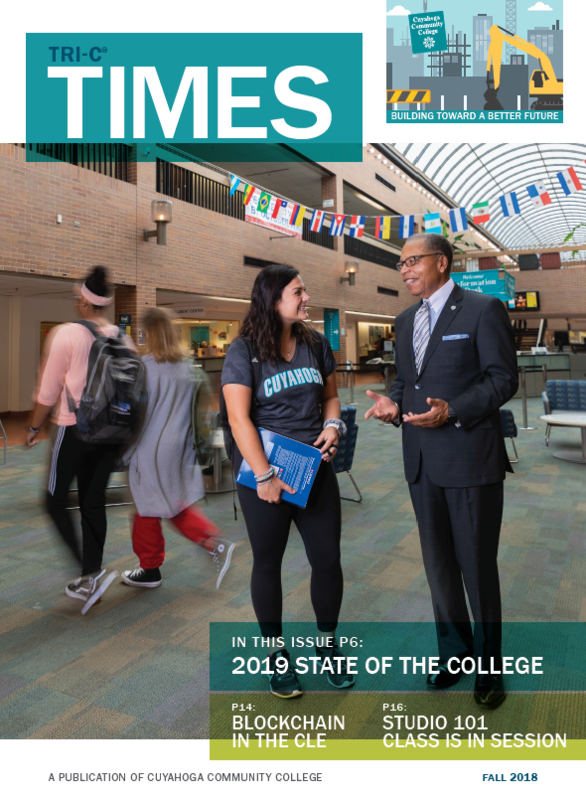 The State of the College is part of Tri-C Times, published by the Cuyahoga Community College Office of Integrated Communications, for its friends and constituents. View current and past issues of Tri-C Times.